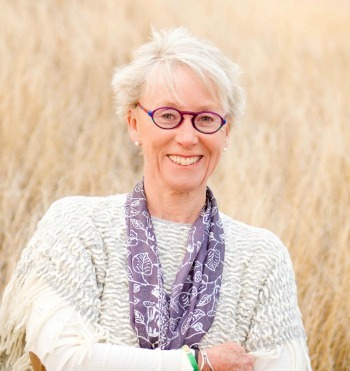 Award-winning author, Anita Dickason is a retired Dallas Police officer and served as a patrol officer, undercover narcotics officer, Dallas SWAT team/sniper, and advanced accident investigator. 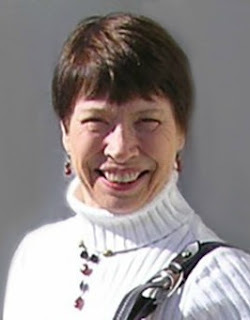 As an author, her fictional works are suspense/thrillers. Characters with unexpected skills, that extra edge for overcoming danger and adversity, have always intrigued her. Adding an infatuation with ancient myths and legends of Native American Indians, and Scottish and Irish folklore creates the backdrop for her characters. Anita has established a new business, Mystic Circle Books & Designs, LLC. As a publisher and consultant, she provides manuscript and graphic design services to assist other authors in publishing their novels. Anita Dickason: Sentinels of the Night and Going Gone! were both published this year. Sentinels of the Night is the debut novel for a new FBI unit: Code Name—Trackers. Each agent has a special gift, one that defies reason and logic. Tracker Cat Morgan is pitted against a serial killer who plans to make her his ultimate sacrifice. In Going Gone!, Tracker Ryan Barr, the unit profiler, and Kerry Branson, an ex-homicide detective turned private investigator are on the hunt for the kidnapped children of high-ranking politicians. 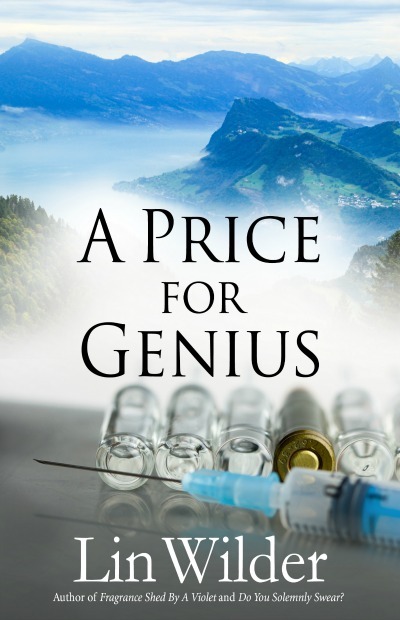 They uncover a plot that has the drug cartels and terrorist cells lined up to cash in. IAN: Is your book published in print, eBook or both? Anita Dickason: The books are available in paperback, hardback, and eBook versions. Anita Dickason: After retiring, I started an accident reconstruction business. A California film company found my website and contacted me regarding a new reality TV series that dealt with unsolved mysteries. Lee Bowers was a witness to the Kennedy assassination and died in a car crash in 1966. Over the years, the conspiracy theorists have claimed he was killed because of what he saw the day Kennedy was shot. The packet I received included a video of a Geraldo Rivera episode filmed in the middle 90’s on the same topic. A man stood in the southbound lane of a divided highway south of Dallas and pointed to a bridge where Bowers was killed. This location was the same one the film company intended to use. It only took a few seconds to realize everyone had the wrong bridge. It didn’t exist in 1966. In fact, the land for the highway expansion wasn’t purchased by the state until after Bowers was killed. I found the right location in time for the film company to switch to the new site. In the process, I became so intrigued with the project; I decided to attempt a reconstruction of the accident. Talk about the ultimate cold case; this was it. Every single detail had to be evaluated by the standards and procedures that existed in 1966. I wrote a book, JFK Assassination Eyewitness: Rush to Conspiracy, that details my research and conclusions. The book jump-started a new career as an author and publisher. Anita Dickason: I wanted to entwine the mystique with what I know, crime and cops. What better way than to set up an FBI unit with paranormal abilities. IAN: How are your books different from others in your genre? Anita Dickason: The difficulty with genres is that sometimes a book just never seems to fit in one niche. I know mine doesn’t. My plots are a cross of thrillers and suspense with a dash of paranormal and light romance. My background adds credibility to my novels. I know how cops think, act, and what it takes to run an investigation. Some of the reviews I have received agree with my assessment. I know how to make the plot believable. My paranormal elements have a unique twist, which adds another layer of intrigue. The combination makes for an unusual story. 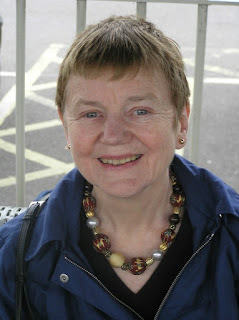 Anita Dickason: The plot, characters, and some of the locations are entirely fictional. What they do and how they do it is based on my law enforcement experience. Early in my career, I crossed paths with a man convicted on multiple counts of murder. I have never forgotten the dead look in his eyes. That memory became the basis for the serial killer in Sentinels of the Night. In the opening scene in Sentinels of the Night, FBI agents are chasing a suspect in a railroad yard. That happened, except I wasn’t chasing a serial killer. A thief had bailed out of a stolen vehicle and decided the railroad yard was a good place to ditch the cops who were chasing him. In both, Sentinels of the Night, and Going Gone!, many of the scenes and events are based on my experiences. IAN: How did you come up with the titles? Anita Dickason: In my research, I came across a woman, Alice C. Fletcher (1838-1923) who was an ethnologist, anthropologist, and social scientist who studied and documented American Indian culture. Her background and experiences are remarkable. She translated many of the myths and chants used in ceremonial dances. The plot in Sentinels of the Night is based on one of her translations. Owls are the guardians of the night and the messengers of death. Their screech is considered to be a signal of a violent death, even murder. When a person dies, they cross over the owl’s bridge. This became my paranormal element in the book. The owls are the Sentinels of the Night. The title Going Gone! depicts the stark reality of child that has been kidnapped and alludes to the motive for the kidnappings. I designed the cover for each book. Sometimes, I am more proud of the cover than I am the book. I love working on a new design, whether it is a cover, bookmark, bookplate or any other promotional item for books. I can spend hours tweaking a design. Multiple layers were used to create the colors of the sky for the Sentinels of the Night cover. The eyes of the owls’ link to Tracker Cat Morgan’s unusual paranormal ability. The two sets of eyes at the top of the cover and the owl in front of the moon connect to scenes described in the book. The moon sinking into a red sea relates to the dream sequences Cat experiences throughout the book. The cover truly depicts the plot. 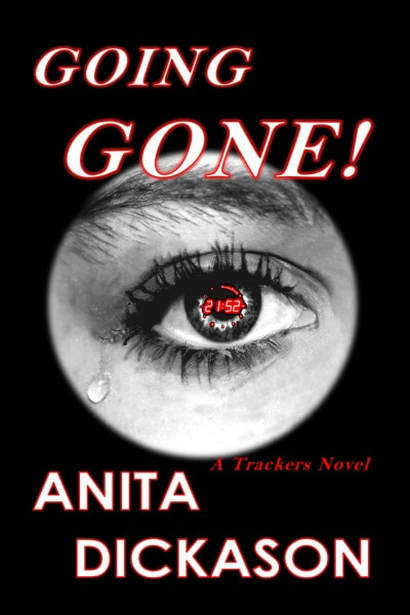 In Going Gone!, I wanted to portray the agony over a missing child. The sole focus is a woman’s eye with a single tear. I kept the color to black and white to add to the sense of desolation. Time drives the plot. I overlaid a red digital clock on top of the pupil to heighten the intensity of the role time plays in the agents’ desperate search. When I started writing, I joined a couple of writing groups. An award-winning author was the guest speaker for one of the meetings. During her presentation, she stressed the importance of an outline before starting the book. 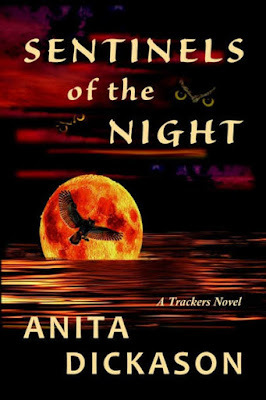 I had written about twenty or so pages for Sentinels of the Night. I thought, okay if I need an outline, I’ll write one before I go any further. OMG, what a disaster. I got so hung up on trying to stay with the outline that I lost track of my plot. Something would occur to me as I wrote a scene, but if it didn’t mesh with the outline, I had to revise it. It seemed I was spending more time on the outline than on the book. So now, I just write. Even though I have a general idea of the plot, how it develops depends on how I set up the characters. It’s not unusual to change midstream, and add another section or go in another direction based on a character’s actions. For me, the process is similar to an investigation. When connecting the dots, you never know where they will lead. I use multiple POVs (point of view). The shifts are more than just between a couple of characters. While the Tracker novels are standalone, not a series, the entire team is involved. Part of the team is in the field, and the remaining agents are in Washington D.C. I started the technique in Sentinels of the Night and expanded on it as it seemed a natural extension of the investigation in Going Gone! I like the depth the technique adds to the plot. It lets me bring in more of the personalities of the characters. It is, however, complicated and risky. With the give and take, the back and forth, who knew what and when creates many details to track. If I miss one, I know there will be an eagle-eyed reader out there who will spot it. I keep a notepad by my computer and jot down notes as I type. I also use the navigation bar to help out. I’ll add notes at the beginning of a paragraph or the start of a chapter, and set it as a heading. I have found this is very useful to keep track of time or days. IAN: What books have influenced your life most? Growing up, I was an avid reader, mysteries, investigations, and sleuths. Without a doubt, Sir Conan Doyle was at the top of the list. I have read every Sherlock Holmes mystery he ever wrote. “Watson, the game is afoot.” As soon as you read those words, you knew. 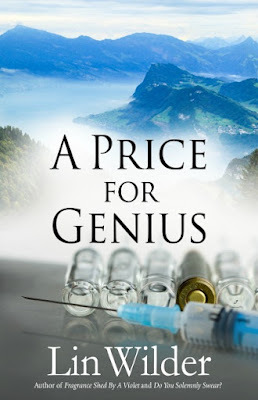 The story was headed into the depths of an improbable investigation with twists and turns designed to boggle the mind. 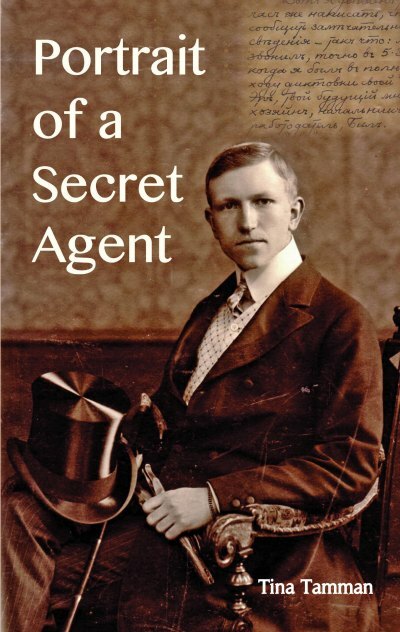 Doyle was a master at the understated, subliminal hints and clues that Holmes always understood and left Watson in a muddle. Along with the Holmes mysteries, I have to add Perry Mason and all of Agatha Christie’s works. Anyone see a trend here? The heroes were super sleuths, connecting the dots and solving the crime. It’s not surprising that from an early age, I wanted to be a police officer. What I learned along the way is that police work is all about connecting the dots, much like my childhood super sleuths. Sentinels of the Night took close to two years to complete. I took online courses in writing and submitted chapters to different websites for critique and evaluation. I joined a local writing group. The title even changed. The original was Blood Moon. I wrote, rewrote, and rewrote again. I lost track of the number of drafts. With each change, though, the book improved. The trials, tribulations, and growing pains paid off when I wrote the next book, Going Gone! It took about ten months to complete. I am working on a third Tracker novel that I started three months ago. I am hoping to have it ready to publish by January/2018. IAN: Tell us about your next book or a work in progress. Is it a sequel or standalone? Anita Dickason: I am the middle of writing the third Tracker novel. I use a popular technique that involves a group of characters. I like the continuity and the depth it brings to the plot. My books, however, are not a series, each one is a standalone novel. I don’t have a title for the new one yet. My titles come from a word or phrase in the story. So far, inspiration hasn’t struck. The setting is Texas, and an ATF agent disappears. Tracker Adrian Dillard is sent to Laredo to investigate. What he finds will send shock waves through the law enforcement community and the White House. Phil Stephens: Black-robed nuns, priests, bishops, the select fraternity of Altar Boys, and the ancient ceremonies of the Catholic Church. Music of the ’60s, boyhood shenanigans, Cootie doctors, and coming of age. Set in the socially and politically tumultuous period of the 1960s, The Altar Boy is the fictionalized memoir of Carl Sanders, a funny, sensitive kid, who’s caught in the middle when his family is fractured by the intrusions of a priest. We follow Carl's confusion and pain as he watches the pious façade of the Church fall away to reveal unholy carte blanche, cover-ups, and collusion. 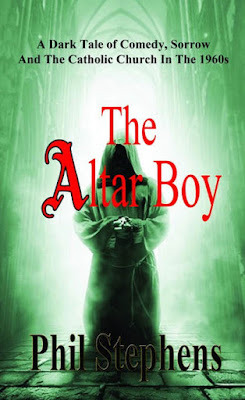 IAN: Is The Altar Boy published in print, e-book or both? Phil Stephens: It is currently published in print only. IAN: Where can we go to buy The Altar Boy? Phil Stephens: It is available at Amazon and Barnes and Noble. 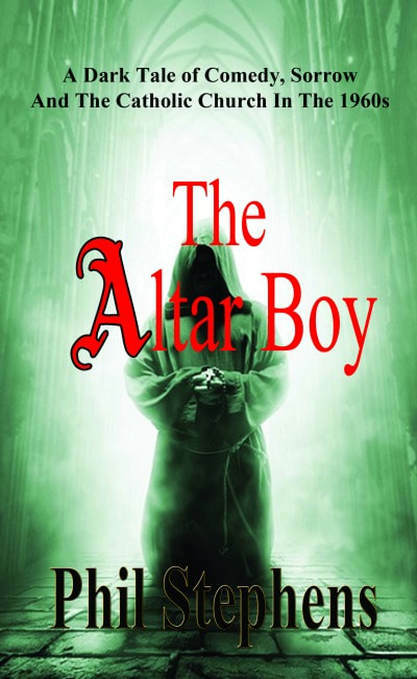 IAN: What inspired you to write The Altar Boy? Phil Stephens: True events...and a story that needed to be told. Phil Stephens: Some chapters I outlined and some I winged. IAN: How long did it take to write The Altar Boy? Phil Stephens: Longer than I'm willing to admit. Phil Stephens: I wanted a title that conveyed the subject matter of the book and grabbed the reader. IAN: How much The Altar Boy of is realistic? Phil Stephens: Most all of it. IAN: How is The Altar Boy different from others in your genre? Phil Stephens: Very little has ever been written about this subject. 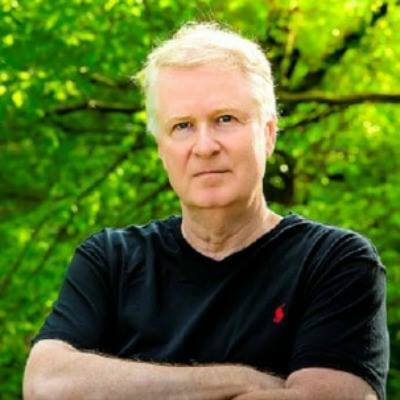 Phil Stephens: Yes, if my first novel takes off. Phil Stephens: It is one of the few things I have a talent for. Phil Stephens: Finding the time to do it. Phil Stephens: First of all START the book and then FINISH it. Don't give up. Phil Stephens: It is a stand-alone novel titled "On The Edge of the Stairs." A story of a young couple very much in love and planning their wedding but then the girl dies in a tragic accident. As the woman lay dying she vows to the man she will reincarnate herself and come back to him. And she does.